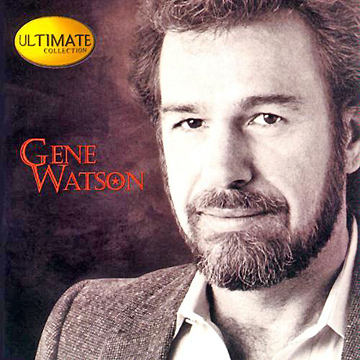 “Gene Watson: The Ultimate Collection” is his first multi-label anthology: 23 of his Capitol. MCA, Epic and Warner Bros. hits! 16 of them are country Top 20s. Critics have noted, quite correctly, that one of his biggest hits — “Farewell Party” — is not included here, and it should have been. No doubt about it. But that does not negate the fact that this CD presents some very enjoyable music from one of country music's finest crooners. Big hits of his you’ve listened to on the radio over the years, but also songs that you probably haven’t heard and are fresh and new to you. Gene is easy on the ears. The evidence of this is that if you put this CD on as you drive, you'll drive an hour without feeling it. His singing is so entertaining that time flies. Gene has been around a long while, but his voice never gets old. If you are tired of the pop/rockers and pseudo cowboys who now dominate “country music,” check out Gene’s traditional country tunes for a starkly different listening experience. Mr. Watson dominated the country charts from the 1970s through the 8-track tape days and into the ’90s, and on this CD you’ll get to hear the reason for that. He not only has a voice for music, he has an ear for music, and knows how to pick some awesome songs. The opening track — “Love In the Hot Afternoon” — paints a vivid word picture of “damp, tangled sheets” that will arouse the sensual urgings of the listener. Then there's the faster paced “Got no reason now for going home. All my reasons now, she's gone. Got no one there to talk to and even though I know I ought to, got no reason now for going home. It’s so hard now knowing there’s another, that sheÆs out with him knowing that I love her. So I end up here each night, sittin’ and thinkin’, missin’ her, hatin’ him...and drinkin'” Does a country song get any better than that? There are also rollicking up-tempo songs like “Fourteen Karat Mind.” Gene takes you through a list of love-lost songs. Hurting never felt so good! Incidentally, if you ever get a chance to see Gene Watson perform live, don’t miss him. This guy can actually sing!